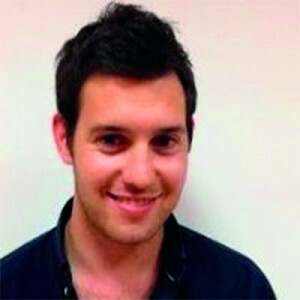 French alumnus Benoit Mouret completed the International Master in Marketing at EADA in 2011. Here he explains how the Master opened doors for him into the world of ecommerce, and how he launched his first startup, Grapy.fr, which was recently bought by Hellotrip. I’ve always been interested in ecommerce business and marketing strategies. For this reason, in 2010 I decided to undertake an International Master in Marketing in a Spanish business school – that way, I could learn the local language, discover a new culture and build up my network. I looked at the international rankings and without a doubt, EADA came up as the best option for me. Five years after finishing the programme, I still think I made the right decision. Through case studies, I developed the logical thinking processes and analytical skills that have helped me a lot when assessing opportunities and risks in the startup world. This International Master in Marketing opened doors to the exciting world of ecommerce. After working at Tom Tom as a Marketing trainee for a few months, I moved on to become a junior ecommerce consultant at Unic AG, a leading European provider of integrated e-business solutions. There, I started out doing functional testing of ecommerce websites. As we were working on a project basis, I learned a lot about planning our resources; good planning is what makes a difference between a successful project and an unsuccessful one. My next position was one year later in Oramon, a full-service software company offering digital consultancy and software development, specialising in the modern retail world with a big focus on fashion retail. My experience there as an ecommerce consultant was probably the most important one, as it made me realise that I wanted to work in startups. Oramon had a rather small structure –around eight people at the beginning–, with just one customer in fashion retail. We maintained the company’s ecommerce website and helped grow business. As in all startup environments, at Oramon I was constantly facing challenges that were not strictly part of the daily job. In more stable, mature companies, you often do not have this opportunity. In June 2014, my dream of becoming an entrepreneur came true. My friend Maxime Cohendet, with extensive experience in digital projects, proposed creating an online platform together. The platform would be dedicated to searching vacation destinations according to users’ budgets, and I would be the COO of the company. For example, a user could enter the following information: “I am going to Paris from May 20 to 25 from Barcelona and I have a budget of 100 euros”. Our website showed the client the options that best fit their request. Although the website was a great success from the beginning, it was very difficult to launch. The toughest part was setting up work processes and rules. When you run your own business, daily tasks to structure your day and to establish priorities is really the key. Last June, we were taken over by Hellotrip, an Amsterdam/Paris based tech startup in the world of travel search engines. We are now part of a company that has the first price prediction technology in Europe. For instance, we are able to tellusers if the price of the plane ticket is going to increase or decrease in the next 14 days. My goals for the future include making Hellotrip a success, coming up with a new idea for running another digital startup and, of course, joining teams with exciting projects.